Logistic and storage services for biological materials and related clinical data for use in research. To facilitate the discovery of data and biological samples, we provide searchable metadata catalogues on study-level and/or patient level. The Durrer Center for Cardiovascular Research was founded in 2008 as a facility of the Netherlands Heart Institute (NL-HI). NL-HI fosters collaboration between university medical centers in the Netherlands and between scientists and the private sector within the cardiovascular domain. Durrer Center provides expertise and services to collect, analyse, manage, store, archive and share clinical research data, images and biomaterials. The main principle is that biomaterials and research data are Findable (F), Interoperable (I), Accessible (A) and Reusable (R). The Durrer Center endorses the sharing and reusing of scientific data. To facilitate finding and localizing of data and biological samples, we provide you with sophisticated searchable metadata catalogues. Our metadata catalogues are financially supported by BBMRI-NL, an initiative for improving research infrastructure financed by the Dutch government (NWO 184.021.007). 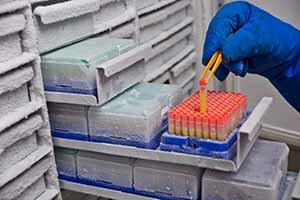 This catalogue provides an overview of the biological samples stored in our central biobank. Studies are documented in a standardized way, so that you can either browse around our database or tailor advanced search queries. The Cardiac Tissue Biobank Utrecht includes clinical and genetic data with cardiac tissue collected by the departments of pathology and cardiology at the University Medical Center Utrecht. Information related to biopsies and slices of cardiac tissue are described in detail with the goal of facilitating other researchers to discover data and sample with a potential to be reused in subsequent studies. More than 500 patients with an ischemic or non-ischemic cardiomyopathy who underwent a heart transplantation or left ventricular assist device implantation have donated biological samples for the Cardiac Tissue Biobank Utrecht.